When you become a parent it's strange how your child ends up being one of your best friends. I actually really enjoy a lot of the time Mason and I spend on our own; little trips to the shops, walks in the park, sometimes we just head out for an apple juice and a coffee, it's great. I never actually thought I could really look forward to the little things in life. One of my favourite times of the day is when we sit down for a story before bedtime. I have my favourites, I love the Gruffelo -that little mouse is a trooper, The Cat in the Hat gives me a chance to showcase my best voices and I have a soft spot for the Charlie and Lola books. 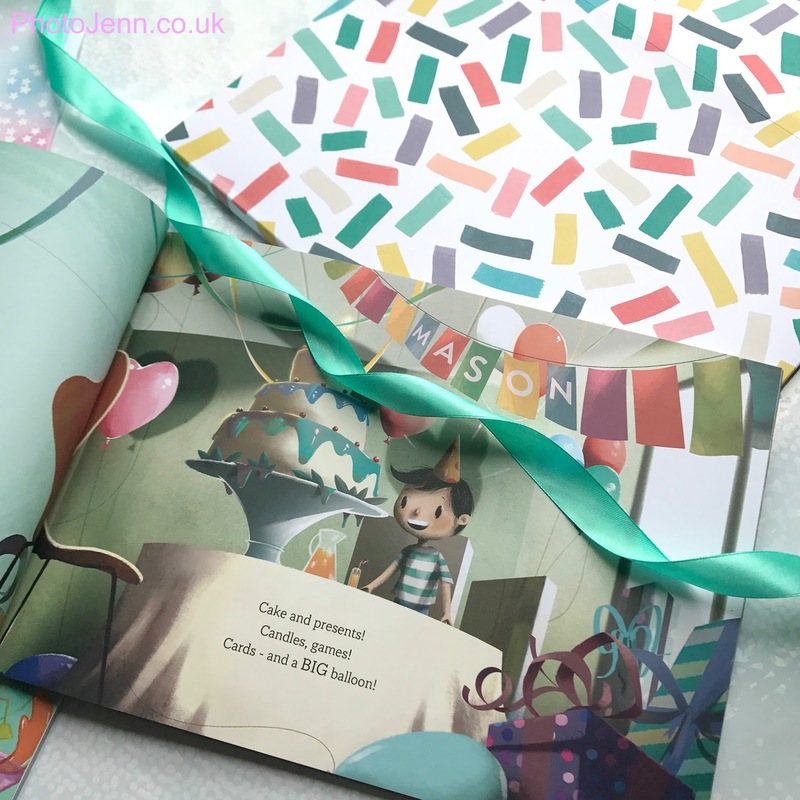 I've previously mentioned the books by Wonderbly which have a lovely personalised touch to really engage even the most unenthused readers. The Little Boy Who Lost His Name was their first book which was actually featured on Dragon's Den and is a huge favourite in our house - we actually have 2 copies just in case one goes missing! Each letter of your child's name is found one-by-one as they go on an adventure meeting characters along the way. 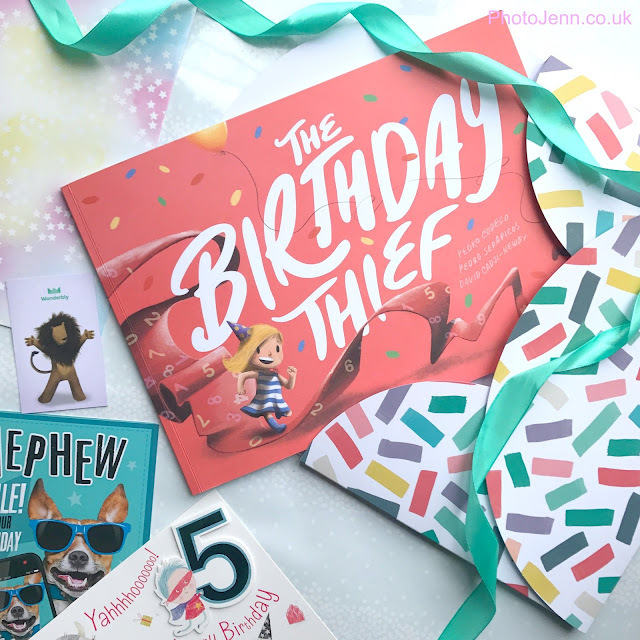 Mason turned 5 this month so the it was a perfect chance to treat him to a new Wonderbly book and The Birthday Thief was definitely a perfect fit! It's a lovely little story based around your child's birth date. You personalise your book by entering their first name, selecting a character and entering their date of birth. The wonderful little robots create behind the scenes create your own unique story in a matter of seconds which you can preview online before you order the book. 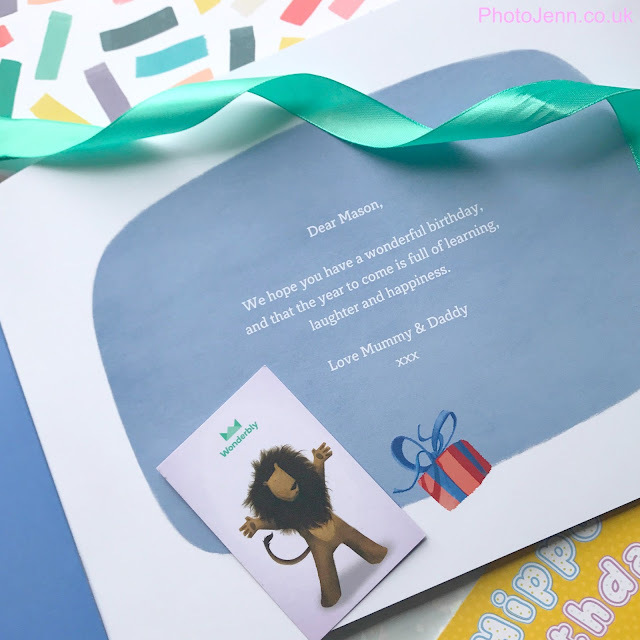 At the beginning you can include birthday message which straight away pulls you in as it is already so personal. The story follows your main character trying to find his birthday after it gets stolen. Along the way he/she meets characters relating to the day, month and year they were born. It's so nice to hear Mason read out his name and follow the story that is so personal to him. He really enjoys when we enter the 'Months Court' when we meet characters including Lord June and Sir September and chose a guide to help us get closer to finding the missing birthday. Mason likes to tell me which months his friends birthdays are in, it really gets him involved in the story. 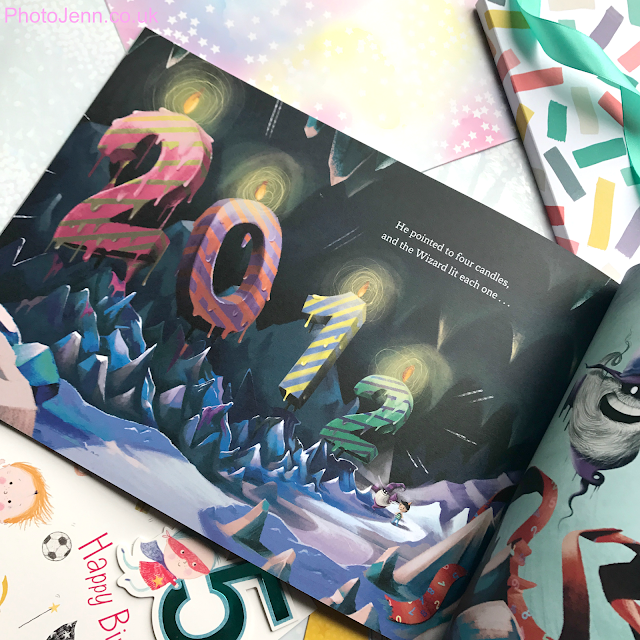 Not to spoil the ending but when the birthday is found it's great to see your child's name and birthday printed in the book. 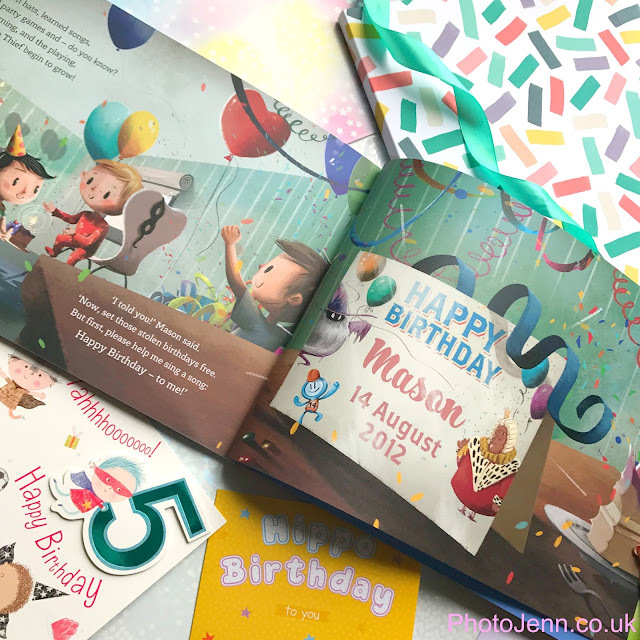 We've read the book a few times already and each time the birthday is found there's a big smile on Mason's face. I really like the detail in the illustrations and the book is a nice A4 size and written on sturdy thick paper too. The book is £16.99 which is really worth it when you are getting something truly unique that you will keep forever. It would make a great gift for a new baby and of course for birthdays too! If you want to order one yourself give me a message as I have a couple of discount codes for 15% off. Prom Dresses all year round!